Think you’ve got what it takes to help Castle's Richard Castle and Kate Beckett solve a murder mystery? 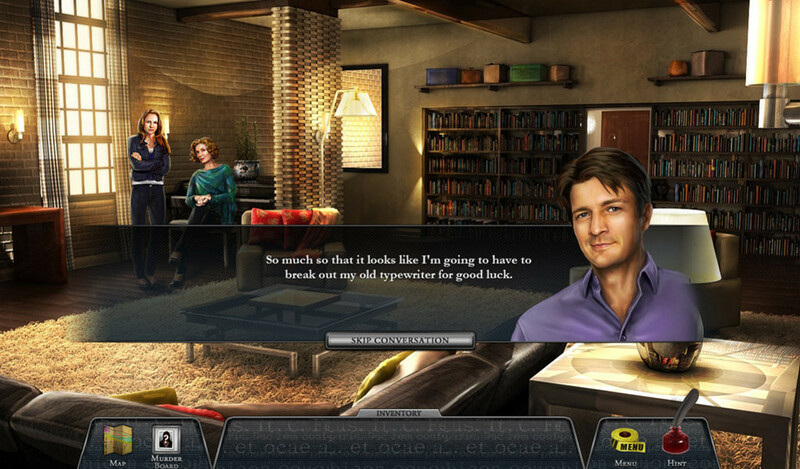 Well, now you can put your investigatory skills to the test with Castle: Never Judge a Book by Its Cover, a new interactive game that lets you team up with Caskett on their latest case! Together, the three of you will try to track down a dangerous serial killer who’s on the loose on the streets of New York City. Find out if you’re as savvy a sleuth as Castle and Beckett when you tackle interactive puzzles and attempt to uncover clues in hidden objects! And while finding your suspect might prove challenging, there’s no mystery when it comes to tracking down the game, which is available to download on the iPad, as well as Android and Windows 8 tablet devices. Official Raging Heat Webmercial|Richard Castle introduces his new spine-tingling, bone-chilling thriller.|Bestselling author Richard Castle has a new spine-tingling, bone-chilling thriller in Raging Heat. Get your copy today!